Getting There: Depending on your U.S. departure city, airlines that service the Calgary International Airport include United, Air Canada, Canadian, American, Alaska, Northwest and Delta. The 1-800 phone numbers and web links for these airlines are available at this magazines Airlines page. The Calgary International Airport, just minutes from downtown Calgary, is 94 miles via Highway 1 to Lake Louise. Take the Lake Louise exit. Transportation can be done by rental car or buses to the Lake Louise Ski Area. Most major car rental agencies are located at the Calgary International Airport. The 1-800 phone numbers and Web links are available at this magazine's Autos page. Brewster and Laidlaw Transportation are two of the shuttle services available from the Calgary Airport to Lake Louise. Staying There: Hotel and motel room reservations for a wide variety of price ranges, from economical to very expensive, are available through Lake Louise Ltd. For a list of available choices, and information about Skoki, contact Lake Louise, P.O. Box 5, Lake Louise, Alberta, Canada TOL 1EO, telephone (403) 522-3555 or click on the Web links listed below. 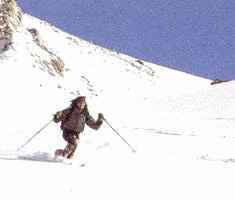 Fast Facts: Skoki is a backcountry lodge at an elevation of 7,100 feet (2,164 meters) in the high alpine of Banff National Park, only accessible by hiking or skiing the 8.9-mile trail that begins at the Lake Louise Ski Area. The rustic lodge and three surrounding cabins provide accommodation for 22 guests. Prices includes transportation from the parking area to trailhead, afternoon tea, dinner, wood-fired sauna, breakfast and pack lunch. Open from Christmas to April for touring and telemark skiing and, in summer for hiking, climbing, fishing and trail riding, late June to September. You can reach the lodge by telephone: Skoki Lodge: (403) 522-3555; fax (403) 522-2095, or Email: skoki@banff.net. 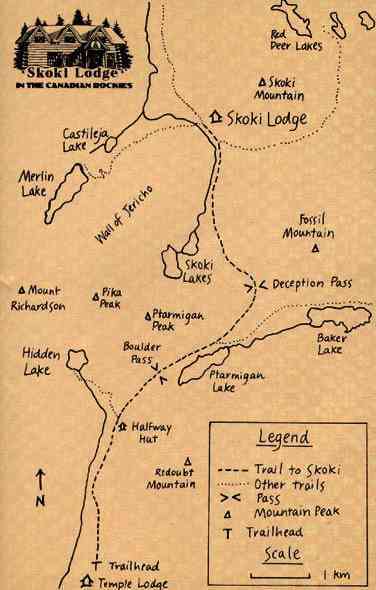 Skoki Lodge: History, photos and reservation information. Chateu Lake Louise: Complete information on the resort including activities, services, dining, and more. Lake Louise Guidebook: A comprehensive guide which includes things to do and places to stay as well as maps and mail-outs. Banff National Park: Everything you want to know.